The man of today has become a true Citizen of the World and travelling has become as natural as running or reading. It is the “it” hobby of the moment! 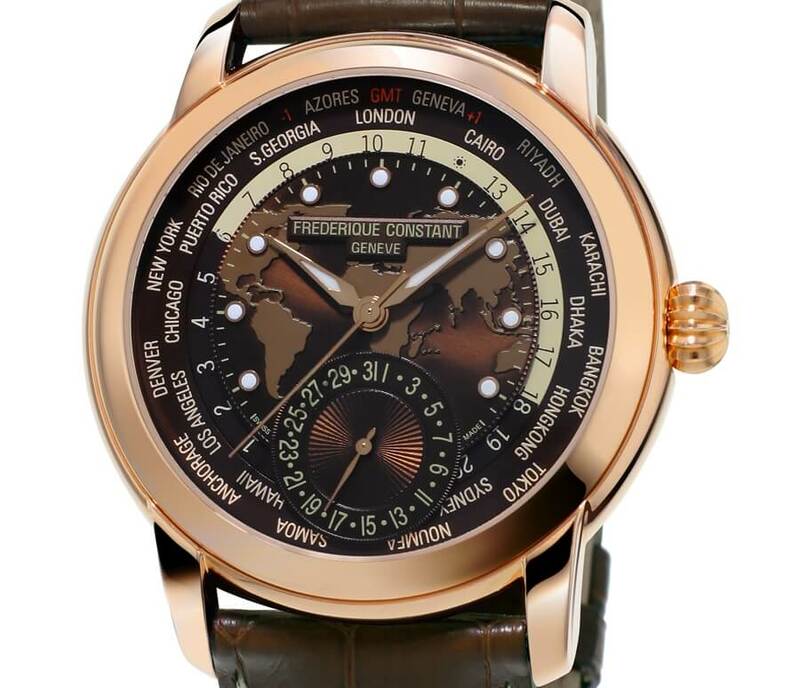 Frederique Constant has redesigned the Classic Worldtimer Manufacture and presents its latest version. A sophisticated new brown color pattern for the more classical man. Perfect for meeting get-a-ways or some downtime across the globe, allowing you to track time around the world with the greatest of ease. The timepiece features a new design with rose gold-plated stainless steel and brown patterns. 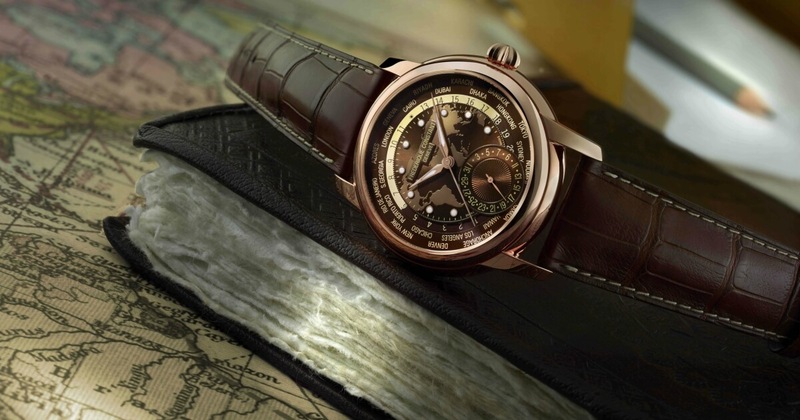 A dark brown design of the world map etched onto to the dial and the twenty-four cities on its outer rim make you wish for the next destination. The date by hand at 6 o’clock seamlessly combines with the Worldtimer function without disrupting the esthetic of the watch. And even though the dial is busy with information, indexes on each hour make reading the time an easy and simple task. The watchmakers at Frederique Constant were able to create an in-house developed, produced and assembled caliber holding 139 parts and measuring 30mm in diameter, where the Worldtimer function is completely controlled by the crown. Thus, no additional push buttons or correctors were added which is esthetically more pleasant and simpler to use. Frederique Constant is the first brand to ever introduce such complication achievement. The crown has three positions. The first lets the user manually wind the watch by turning the crown upwards; the second allows the user to set the date and city by turning the crown upwards and downwards, respectively; the third position allows the user to set the time by turning the crown downwards. 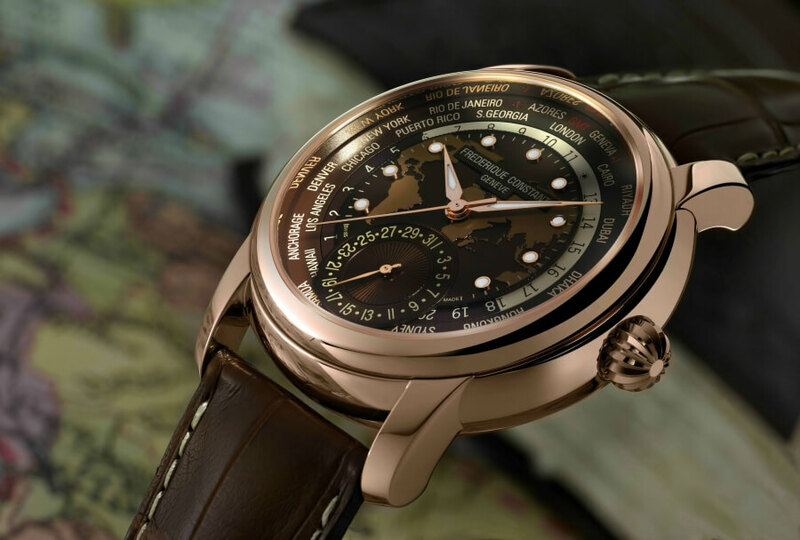 This Worldtimer features two discs, one displaying 24h day-night indication and a second one listing the twenty-four cities. As a true Manufacture movement, this FC-718 caliber features Perlages and Côtes de Genève decoration, and this particular one holds a 42h power reserve.